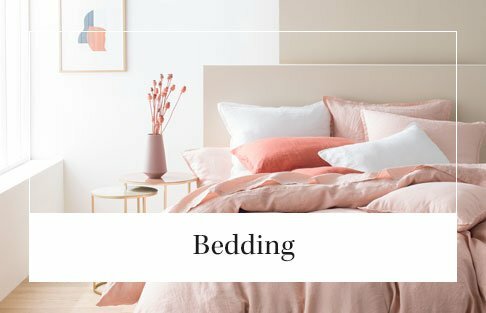 Great advice on how to look after your linen: For your comfort, Blanc Cerise has selected natural fibres such as linen and cotton. These noble, authentic fibres soften over time and with each wash.
All Blanc Cerise fabrics and products are treated and rigorously tested to guarantee an excellent quality that will last. However, a very small amount of shrinkage is normal after the first few washes. Care: A few simple rules! 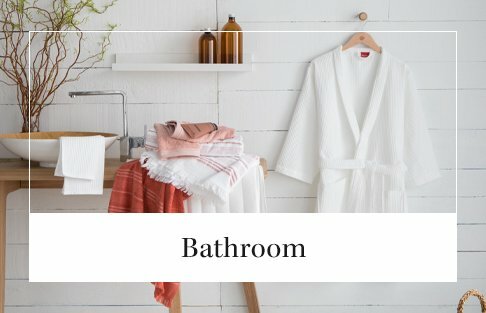 Important: before using, your linen should be soaked for several hours in cold water, then machine washed on a medium temperature without any detergent. Soaking the fabric in water removes the finish on the fabric and prevents stains from adhering. Always follow the washing instructions on the product’s care label. To prevent problems with washing, separate whites from colours and use a detergent specific for colours. Detergents containing whitening agents can change the colour of your linen. The use of a tumble dryer is not recommended as it wears fibres and fades fabrics. If you do use a tumble dryer, make sure you remove your linen before it is completely dry. Dry your linen as soon as the washing cycle is finished by hanging it up unfolded; ironing while still damp is easier! Wash all linen inside out whenever possible to preserve the colours. If your linen is embroidered, iron it on the opposite side to avoid damaging the embroidery. Take care to respect washing temperatures and drying instructions to limit the risk of shrinkage. To keep your colours bright, wash pillowcases and duvet covers inside out. 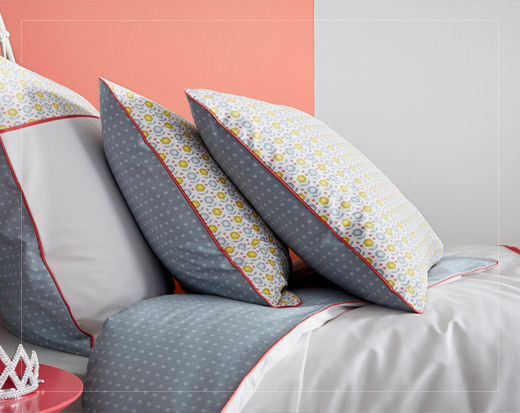 To keep your Blanc Cerise bed linen sets the same colour, always wash the whole set wherever possible. 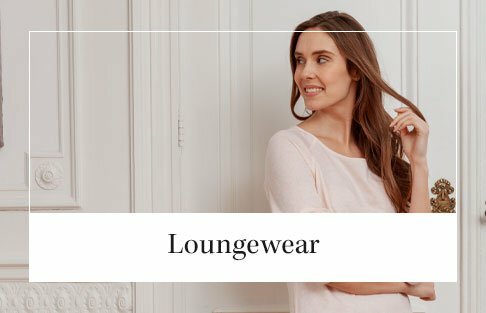 Stains on your Blanc Cerise linen? Not for long! 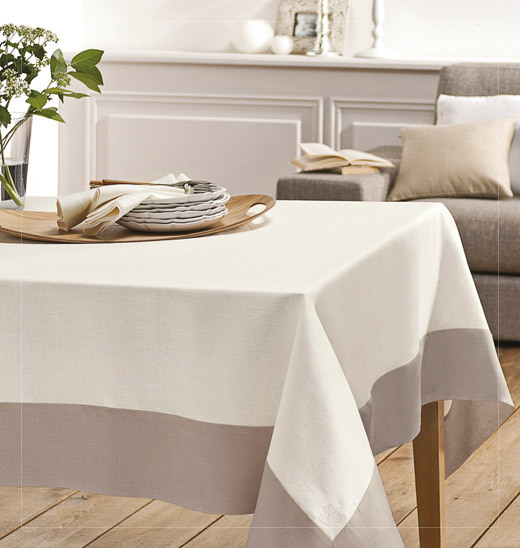 Our table linen is treated with a stain guard, which will allow you to very easily clean up everyday accidents. How? By immediately soaking up the stain with paper towel. For stubborn stains, place a small amount of detergent on the stain before washing your Blanc Cerise linen in the washing machine. And whatever the stain, resist the temptation to rub! 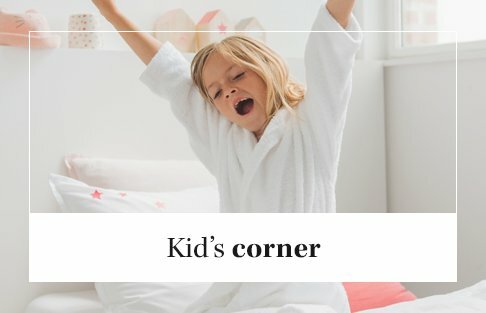 Stubborn stains should be treated immediately, and especially before washing: please read “Blanc Cerise’s tips” below to find out how to do this. Please note: Your Blanc Cerise linen has been treated with a water-repellent stain guard: droplets of liquid will remain on the fabric surface. It is effective on all types of stains, even on natural colours such as tea and blueberry, which are particularly difficult to remove. To keep your linen looking good for as long as possible, wash your linen at no more than 40°C, with only a small amount of detergent and no fabric conditioner. 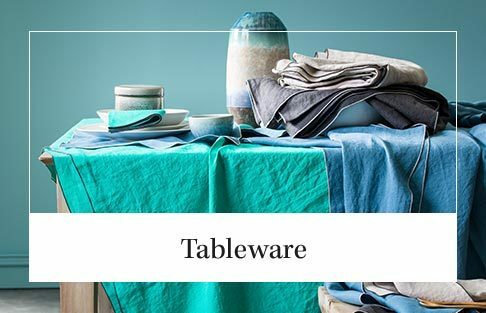 To keep linen sets the same colour, wash the whole set together wherever possible. The use of tumble dryers is not recommended. However, ironing reactivates the stain guard treatment. 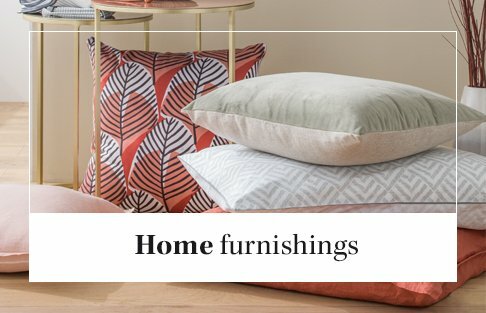 Care tips are the same as for your bedroom linen. Wash in machine at 40°C to 60°C maximum. 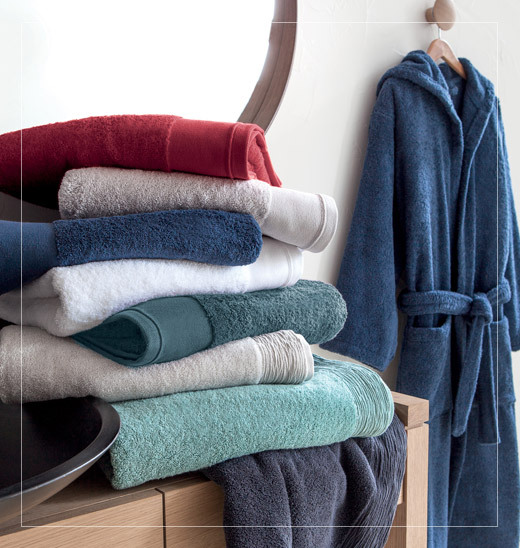 Tumble drying at a medium heat 60°C, is recommended to keep towels soft and fluffy. Avoid ironing: this flattens the loops, which will harden the towel. Please note: for a softer finish and maximum absorbency, wash your towels before using for the first time. Detergents containing optical brighteners can alter colours. Your towels are naturally soft and fluffy: they do not need fabric softener, they won’t be any more absorbent. Blanc Cerise’s tips: How to remove a stain from cotton or linen ? immediately soak up any excess with paper towel or a clean cloth, then rub with sparkling water. Wash the tablecloth as soon as possible. immediately rinse the stain with cold water. Then leave to soak in cold water with 2 cups of salt for 24 hours before washing. Rinse first with cold water, then soak a cloth in methylated spirits and gently pat the stain to get rid of as much of the colour as possible. Rub the stain with washing up liquid, rinse with cold water before machine washing. scrape off as much of the wax as possible, roll the fabric between you fingers to squeeze out the wax. Stretch the fabric and pour very hot water over the stain: the wax will melt and drip out of the fibres. Then machine wash.
sprinkle bicarbonate of soda or terre de Sommières over the stain and leave for a few hours. Scrape of and repeat the process. Brush off the excess powder before washing as usual. quickly wet the stain with sparkling water then quickly wash (tea is a very strong dye that is difficult to remover once it has been left to soak in). washing up liquid over the stain. Leave for a while before washing as usual.